I've only been to Seattle once. My mom and I took a cruise out of Seattle that didn't stray far from the coastline for 4 days. No, we didn't hit Alaska (that was this trip). We touched Victoria and circled the San Juan Islands between eating at endless buffets and drinking champagne. It was just a fast, fun girls getaway that started in Seattle, where I got a quick overview of the city before our ship left. My mom and I did a quick run through of Seattle's Pike Place Market years ago, but this time, I was back with my girlfriends, ready to eat and explore all the nooks and crannies of the market. Pike Place is a real market where you can buy exotic fruit like pear-apple hybrids from Japan, but of course there's loads of big, beautiful local fruit, spices, condiments and wine. There's the iconic flying fish stand at one of the main entrances where tourists stand around waiting for airborne action. The action only comes when someone places an order, and most of the tourists during my visit were like me, not looking to stuff some fresh fish in their suitcases, so there wasn't much flying. All of the seafood seemed super sized. Have you ever seen lobster tails this big? The flowers are even over flowing bouquets of the brightest colors in the crayon box, and being sold at reasonable prices. I wished I could have packed some of those to bring back with me. The spice market has loose herbs and teas, including a special Seattle blend that most locals love. There are truffles, pickles, rubs and of course chowder that you can eat at a counter while watching all the market action. You're going to want some of the local cherries, covered in something - white chocolate, dark chocolate, yogurt. Those pack well, if you can manage to not eat them in one sitting. We were highly unsuccessful. Another good item for the suitcase is the dried salmon. I got it in black pepper, but there's teriyaki, lemon and many other sweet and spicy flavors. Fish jerky - it's not as odd as it might sound, and a decent snack full of protein. There's a bakery that you can smell steps before you arrive. It will lure you in for a warm croissant like it did for me, but this former Paris-living girl says hold your carbs for something more meaningful - like a donut! 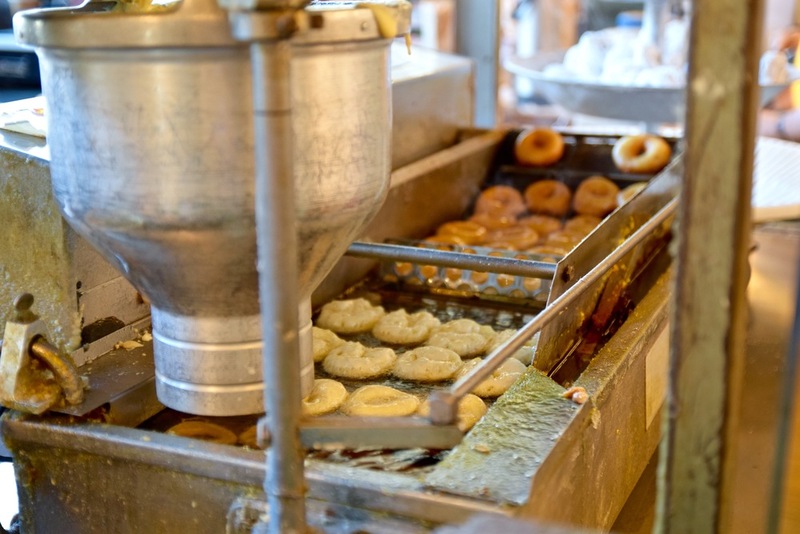 Petite doughnuts are made fresh and roll off the assembly line before your eyes at The Daily Dozen. My friend Cheryl couldn't have been more devastated to learn that we wouldn't be eating our way through a bag of maple mini-donuts since they were out and no other flavor would do. When you're ready to top your carbs with something carbier and creamier, head directly to Beecher's. This cheesy outpost opened in 2003 and was the first artisan cheesemaker in Seattle. You can watch some of the cheese come together while you sample their award winning mac and cheese. We couldn't decided between the flagship flavor and the Mariachi served with roasted Anaheim chilies and a blend of fresh veggies. Beecher's doesn't want any stress so they let us double down with both flavors in one cup. I'm guessing they'll do the same for you. Gotta say, it wasn't my favorite mac and cheese. The cheese wasn't quite robust enough, but I did like the spicy kick. 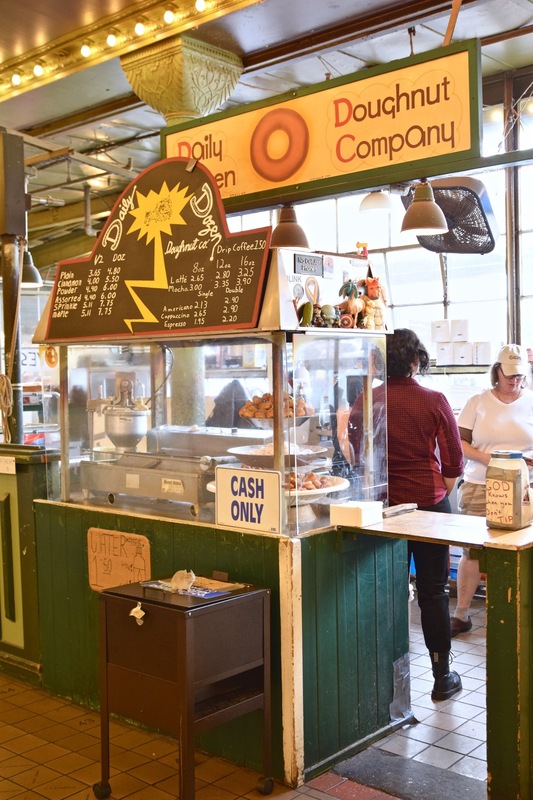 The best taste in the Pike Place Market for me was at Piroshky Piroshky and not just because it's fun to say. Pirosoky comes from our Russian friends, at least when we once had Russian friends. It's a hand-held pie filled with a variety of ingredients - sweet or savory. I thought the classic beef and cheese was well done, but you can also get vegetable filled piroshky like cabbage and onion or mushroom, onion and celery. The original Starbuck's is in the Pike Place Market vicinity if you feel like waiting in line for your latte. 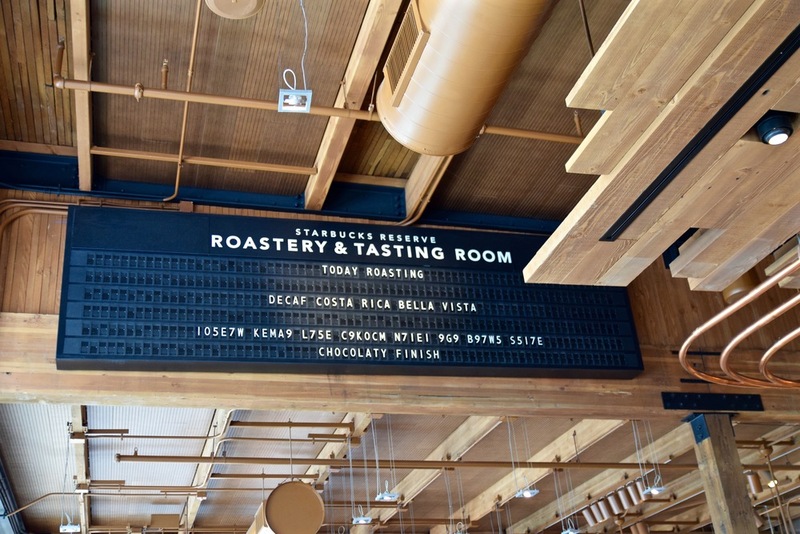 But if you're that devoted, then take the several block walk to see the Starbuck's Reserve Roastery & Tasting Room. It's Command Central for their reserve coffee. All of their premium blend is made here and shipped all over the world. 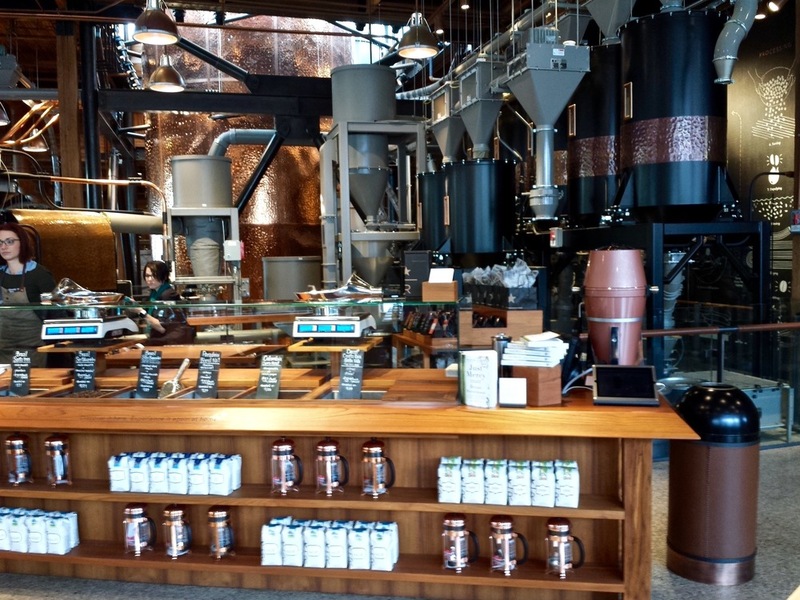 If Willy Wonka had a coffee factory, it would be here. There's an iconic restaurant at Pike Place Market where you can have a high end dinner while looking at the quiet, empty market stalls after they close at night. Matt's in the Market has been around since 1996. 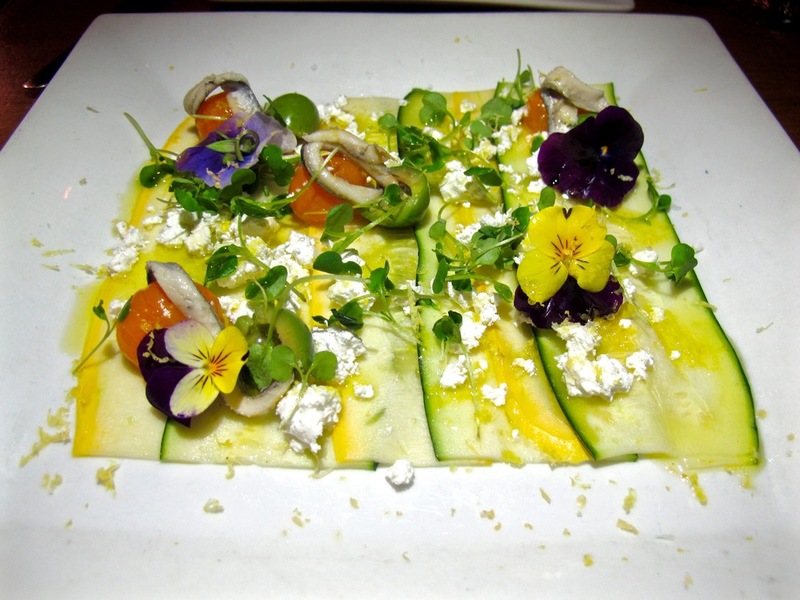 They celebrate the fresh ingredients from the market with dishes like summer squash beautifully presented in long strips with fresh tomatoes, feta and pea shoots. Scallops are wrapped in bacon and served with kale and apple relish. If you're looking to explore the food scene further outside of Pike Place Market, next up I have some unique sit-down Seattle restaurants, and will share a new dining epiphany.